CarGurus has 114,042 nationwide Escape listings starting at $999. Totally redesigned for 2013, Ford's Escape 4-door crossover pares down its trims and standard engines for 2014, resulting in a little feature and pricing shuffle. The 2-liter turbo is still available to the top-shelf Titanium and midlevel SE trims, though no longer standard for the Titanium. The SEL trim that debuted with this generation as the first level from the top is gone for 2014, but apparently that left enough room for Ford to offer a rear-view camera and voice-command Sync system standard across the board, including in the base S.
Otherwise the Escape is still very much the same as it arrived for 2013, and the real-world test results of that one are rolling in. All 3 available four-bangers—the naturally aspirated 2.5-liter and both 1.6- and 2-liter turbos—are reported by drivers to have worse economy than EPA estimates by as much as 8 mpg, averaging closer to 15 mpg city/25 highway for most owners, as opposed to the advertised 20/33 ballpark range for front-wheel-drive (FWD) Escapes. The 2-liter turbo seems the most unscathed by these problems, being exclusively good for towing up to 3,500 pounds with its 240 hp and 270 lb-ft of torque, bringing all its heft to 60 mph in 7 seconds, even with optional all-wheel drive (AWD). The otherwise-standard 178-hp and 184-lb-ft/torque 1.6-liter turbo does the same in about 9.5 seconds—performance that only lends more truth to drivers' claims of inefficiency, especially given that this is the engine with the lion's share of complaints against its 23/33 economy claim, as well as comments on general sluggishness and a lack of power reserve at high speeds (probably at least partly due to its low-flung torque band that reduces turbo lag). The naturally aspirated 2.5-liter (in the base S only) is good for 168 hp and 170 lb-ft of torque and doesn't offer an option for AWD, but like the 2-liter, this one is also most true to their shared 22/30 estimate with FWD. That turbo's estimate goes down 1 to 2 mpg with AWD, and a 6-speed automatic is the only available transmission regardless. Don't let the 2.5's smaller figures fool you, though. Both these engines offer tighter power bands than the 1.6, indicating these should have more power on tap when you're up to speed—and driver reviews agree. Second to that, drivers almost universally agree Ford's technology inside the cabin could use refinement. Most commonly drivers complain about Sync and navigation being glitchy and slow, but this was apparently largely improved in a November software update for MyFord Touch. It's still slower than preferred, according to drivers, and there's still much heated discussion in forums to this day, indicating results still vary. Complaints have become scarce since about March, so it could be up to par now, but it's probably a good idea to spend some time with this system before you buy nevertheless. Otherwise drivers have little but praise for the new Escape's attractive styling throughout, predictable driving dynamics, smooth ride, cozy seating for 5 and useful 34.3 cubic feet behind the rear 60/40 bench (68.1 with it folded flat). It's also pretty well-equipped at its base, notably including full power accessories, air conditioning, cruise control and a 6-speaker stereo system with Bluetooth and USB/iPod connectivity, a CD player and an auxiliary jack by default in the S. Roof rails, remote start and parking sensors are available here. The SE adds features like keyless entry, a powered driver's seat and satellite radio, while the Titanium also adds keyless ignition, the complete MyFord Touch interface, dual-zone automatic climate control, heated front seats, leather upholstery and 4 more speakers for a Sony sound system by default. Available luxuries include that navigation system, rain-sensing wipers, alert systems and the famed automated parallel-parking system. Your prototypical "Tom Girl" Patricia got her start digging into Ford engines before she aged into double digits. Gifted with a mechanical mind, her favorite pass-time in the summer is picking up a fixer-up'r at the local public auction and massaging its every ailment until it's primed for a new lover. From dirt bikes to land yachts, every partner offers something truly special in her love affair with the road - just don't tell her husband. 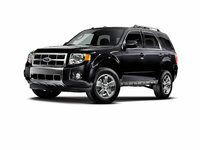 What's your take on the 2014 Ford Escape? Tallgaldriver I find the Ford Escape very uncomfortable. After three days the vibration, bumpy ride and stiff seats had me using ice packs to stop the spastic muscles in my back. I will be trading in the vehicle as soon as possible. 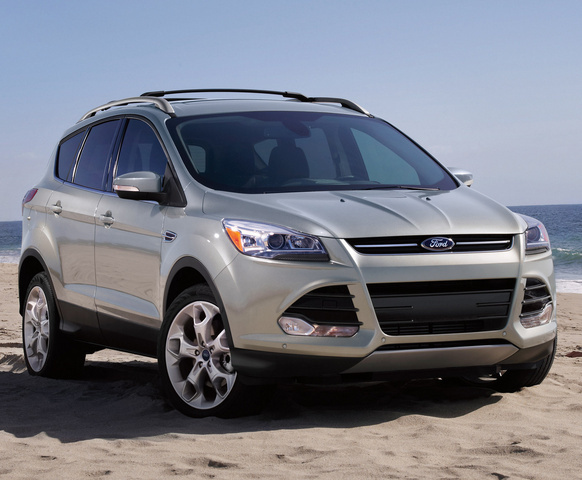 Users ranked 2014 Ford Escape against other cars which they drove/owned. Each ranking was based on 9 categories. Here is the summary of top rankings. 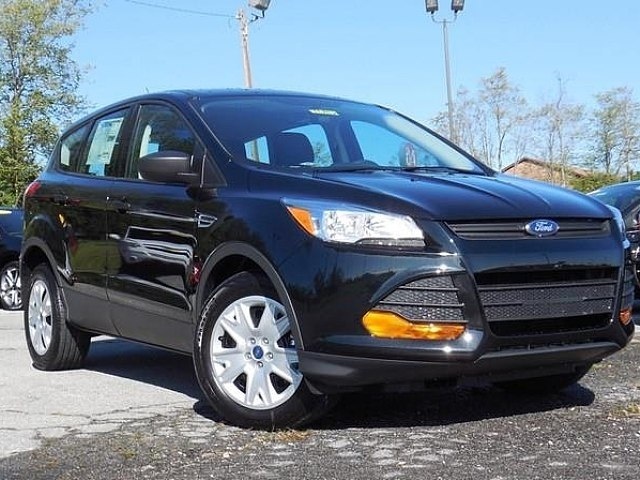 Have you driven a 2014 Ford Escape? will they rub or anything? I know the car has 235/55/17 on it now.